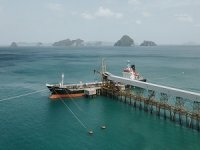 The trade association for West Coast fishermen has lauched a state lawsuit against Chevron, Exxon, BP, Shell, Marathon, Anadarko and a host of other oil and gas companies over alleged economic damages due to CO2 emissions. The Eastern Pacific has warmed in recent decades, and the Pacific Coast Federation of Fishermen's Associations (PCFFA) connects this warming pattern with toxic algal blooms, which have forced closures for the West Coast crab fisheries for four years running. In particular, the suit centers on climate change's role in the formation of "the Blob" - the colloquial name for an "extremely rare" ocean warming pattern that persisted in the Northeastern Pacific from 2013-2016. The temperature anomolies within the affected area exceeded 4.5 degrees F above average, leading to "unprecedented" levels of toxic domoic acid from giant algal blooms. Domoic acid bioaccumulates in bottom-feeders like crabs, potentially rendering them unfit for consumption and forcing fishery closures. 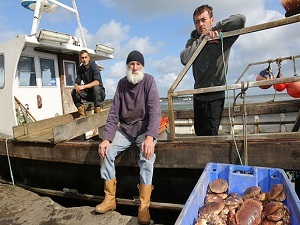 “The severe curtailment of the crab fishery, which is among the most productive, lucrative, and reliable fisheries on the West Coast, had damaging ripple effects throughout California’s and Oregon’s fishing families and communities, creating severe hardships that many fishermen and fishing businesses . . . have struggled to overcome,” the complaint alleges. The suit alleges that certain oil, gas and coal companies have been aware of the climate impact of their products for five decades, but have continued sales. The named defendants are allegedly responsible for about 15 percent of worldwide fossil fuel-related CO2 emissions betwen 1965 and 2015. “The fossil fuel companies named in our lawsuit knowingly caused harm, and they need to be held accountable," said PCFFA executive director Noah Oppenheim in a statement. “We’re taking a stand for the captains and crew, their families, and the business owners that support the fleet." The suit seeks damages, but it also wants the defendants to pay for remedial measures to help mitigate future impacts. These could include investments in detoxification holding tanks, which would allow fishermen to catch crabs during algal blooms and keep them alive in captivity until the algae's toxins left their systems. The association would also like to see R&D investment in rapid test kits for algal toxins so that individual crabs - rather than entire populations - could be quickly assessed for safety. 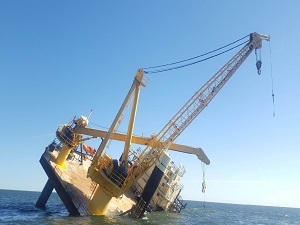 Greenpeace Regrets Ship Recycling ChoiceAfter cash buyer GMS congratulated the organization on its apparent support for the ship recycling of the former Rainbow Warrior (II) at a yard in Bangladesh, Greenpeace has issued a statement saying it was mistaken. 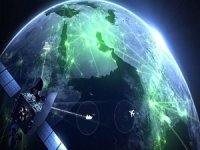 Inmarsat Enhance Fleet Secure Cyber Protection ServiceMobile telecoms body Inmarsat has enhanced its maritime cyber security service, Fleet Secure, with two new additions: intelligent endpoint security for onboard computers and a mobile training app for crew. Biologists Urge Russia to Stop Capturing WhalesA group of prominent whale and dolphin biologists from across the globe have sent a letter urging a Russian federal agency to stop capturing free-ranging orcas in the Sea of Okhotsk for sale to marine parks overseas. 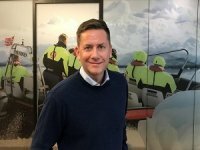 Rotten Fish to Help Power Hurtigruten Cruise ShipsThe Nordic region’s most high-profile cruise fleet operator is refitting its ships to make them less polluting, and plans to use a byproduct of rotten fish to help power their new, leaner engines. 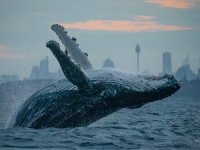 West Coast Fishermen Sue Fossil Fuel IndustryThe trade association for West Coast fishermen has lauched a state lawsuit against Chevron, Exxon, BP, Shell, Marathon, Anadarko and a host of other oil and gas companies over alleged economic damages due to CO2 emissions. 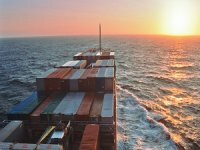 Five Container Shipping Giants Form Digital CollaborationFive container shipping companies - MSC, A.P. Moller – Maersk, CMA CGM, Hapag-Lloyd, and Ocean Network Express - intend to create an association with the purpose of paving the way for digitalization, standardization and interoperability in the industry.